Wayne Rooney's Range Rover has failed to sell at auction - despite it being auctioned for a quarter of what he paid for it. The 2009 vehicle was offered for an estimated guide price of £20,000 to £24,000. But it would have cost the former England and Everton captain around £80,000 when bought new. The Range Rover Vogue 3.6 TDV8 Overfinch, which has done almost 77,000 miles, failed to attract a buyer, despite its previous owner, reports the M.E.N. The car would have come with the original book pack, handbooks and service book and is MOT'd until November 2019. The maximum speed of the motor is 124 mph, whilst 0-60 mph was reduced to 8.6 seconds for a car with a kerb weight of 2.7 tons. H&H Classics intended to sell the vehicle at auction on November 28, at The Pavilion Gardens in Buxton. The starting bid was set at £10,000, and millions of people were expected to show interest. 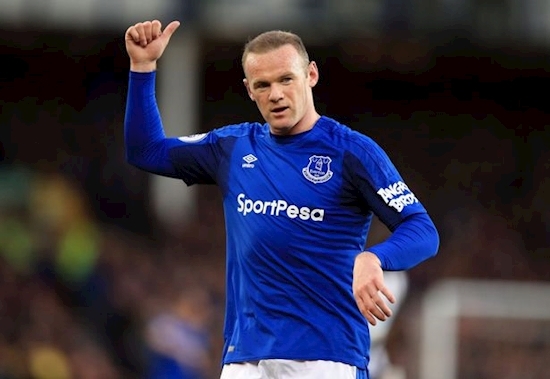 Rooney, from Croxteth, is England's all time top scorer. He now plies his trade for DC United in the US. Follow our main ECHO news Facebook page for news from Liverpool and beyond. For news dedicated to other parts of the region, we also have a Wirral page, a Runcorn and Widnes page, and a Sefton and West Lancs page. If you are on Twitter too, you can give our @livechonews account a follow. And you can get amazing pictures and video from our photographers and other contributors as well as the latest Stories from around the region on Instagram here. You can also get news sent straight to your email inbox with our newsletters. After retiring from the England set-up - he was invited to make a special appearance last night as a substitute in the national side's 3-0 win over the USA at Wembley. James MacWilliam, of H&H Classics, said: “This vehicle has an interesting provenance which will appeal to millions of football fans, besides being a very nice example of this Range Rover Vogue."